The Exigo Leg Extension / Leg Curl Combo is a dual-function machine and part of our selectorized Lower Body range. It can be used to effectively and efficiently target both the hamstrings and quadriceps. Use the leg extension to strengthen and tone the quadriceps. These muscles are crucial when it comes to injury prevention, as they support the delicate knee joint. Furthermore, use the lying leg curl feature to strengthen the hamstrings, which are vital for explosive power. Designed and manufactured in our UK factory, this professional piece of gym equipment not only looks the part, but is built to withstand the conditions of a busy commercial gym environment. The Exigo Leg Extension / Leg Curl Combo boasts a high quality finish and possesses durable upholstery and a robust frame. It is engineered using optimal components and its smooth movement makes it a pleasure to use. 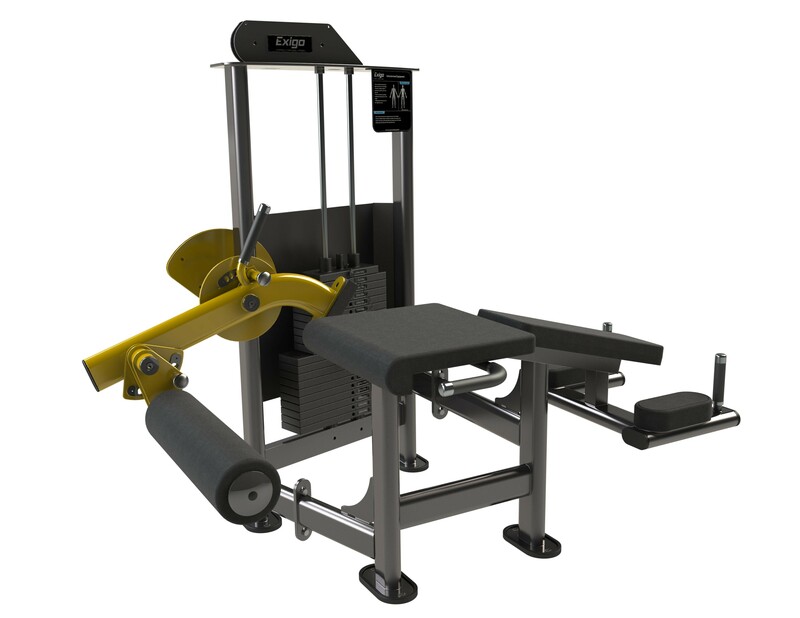 This space saving combination machine is ergonomically designed with an angled bench, to give users the most beneficial workout when targeting the hamstrings. It also features an adjustable leg pad to enable correct user positioning, along with hand grips for increased stability.